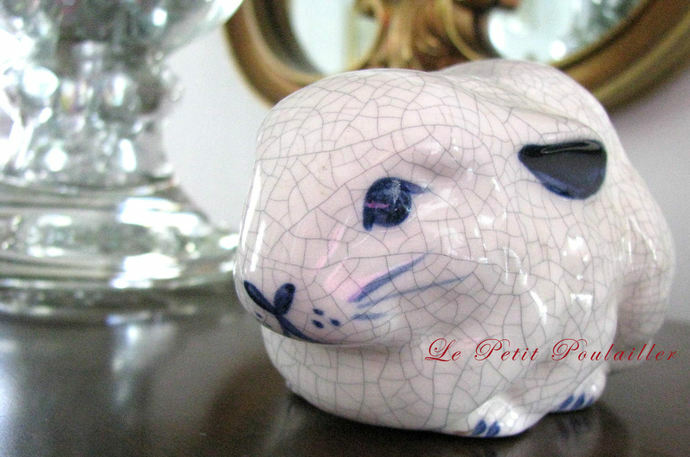 Here is a delightful little bunny! 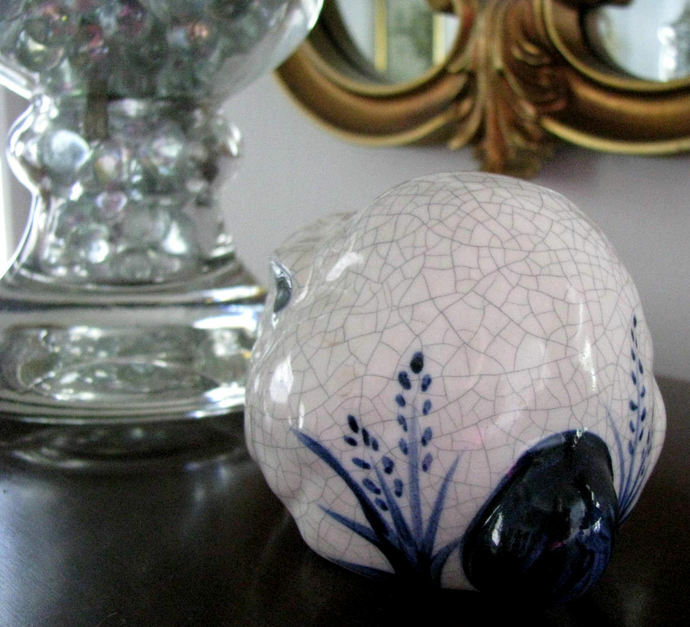 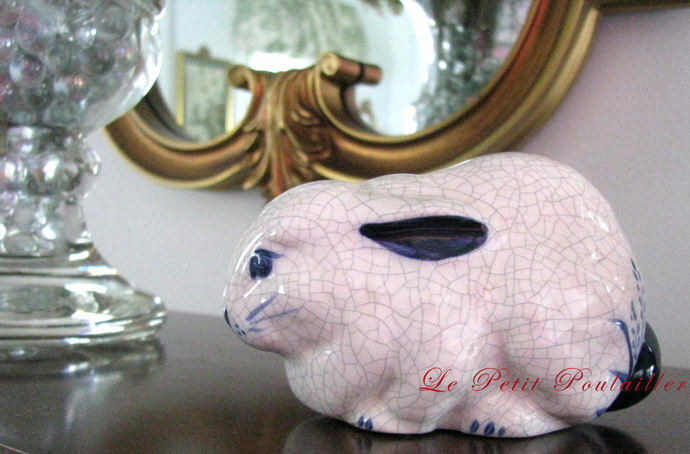 Hand painted and signed, the sweet indigo blue and creamy white porcelain bunny has a flowery little bottom and an exaggerated crazed or crackly finish. 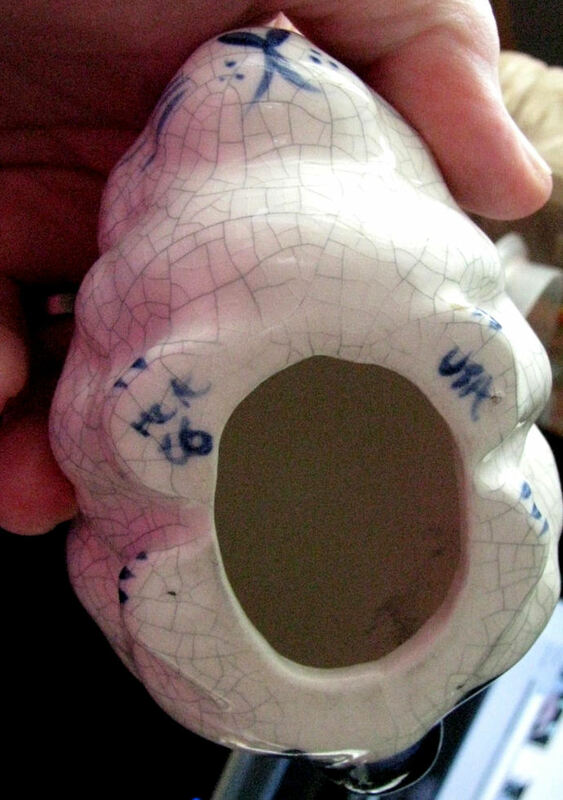 Signed on the reverse under-glaze "McK", "86" and "USA", the bunny has no chips, cracks, repairs, or actual crazing. 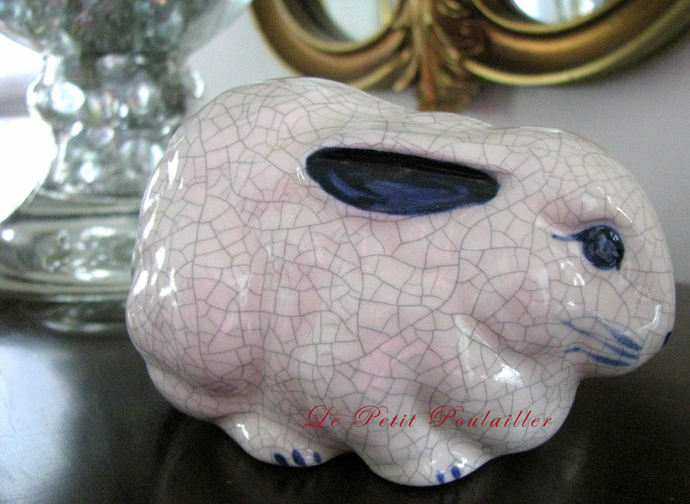 This is a sweet piece to gift to the bunny-fan you love, delightful for every decor ... a darling, timeless piece.